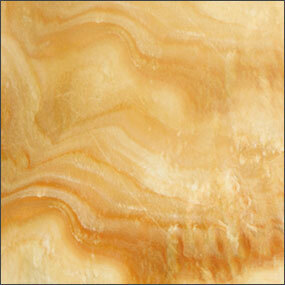 Onyx is a banded variety of chalcedony. The colors of its bands range from white to almost every color (save some shades, such as purple or blue). Commonly, specimens of onyx contain bands of black and/or white.